Bompass & Parr is hosting its first ever public feast it its studio with an experience around flowers, sponsored by Perrier-Jouët, to launch its a catering arm. The "Feast of flowers" event will be a one-off dining experience in a setting full of flowers with an "interactive poisons bar, shots from carnivorous plants, flaming swords and a whole host of flowers presented in provocative gustatory formats". The scents will be "seductive, the flavours are floral and edible flowers abound, allowing guests to interact with nature as never seen before". Guests will also be able to go behind the scenes of the studio’s workspace to learn about Bompas & Parr. 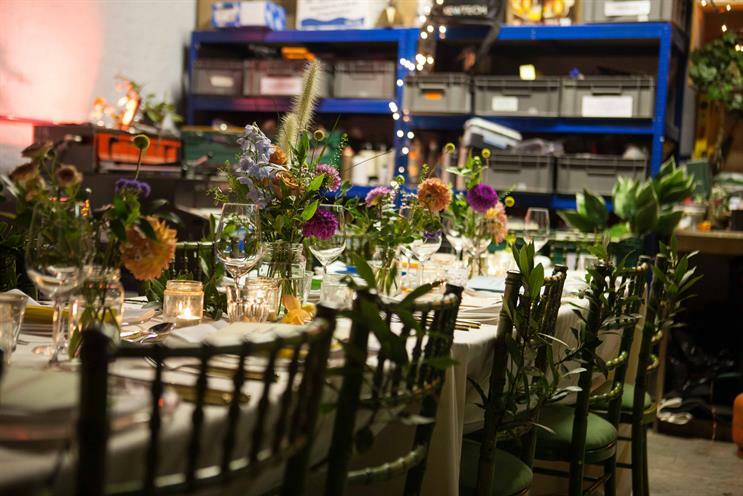 It will be the first time that the business has held a public feast inside the studio in Bermondsey. The new catering arm will be headed up by Rupert Cheswright, events director, and there will be five full-time staff including development chef Mark Apsey and bar development manager Adam Lock. Bompas & Parr is also using this event to launch two new party pieces: London Fog and The Chladni Punch Bowl. The former is a "flavoured mist podium from which a delicately scented rose and champagne fog" will flow between a model of the London landscape. The Chladni Punch Bowl is filled with 80 litres of cocktail that has sound "visualised" across the top of the drink. Harry Parr, director of Bompas & Parr, said: "Designing food and drink is at the heart of Bompas & Parr but it is only recently that we have begun serving people outside of our traditional commercial event-based installations and activations."